Liverpool hosted Everton in the third round of the English FA Cup on Friday night, 05 January 2018 at Anfield . 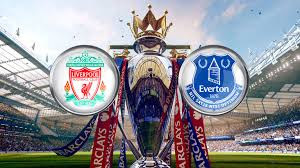 Today a huge game for both sides , they already meet back in December in the premier league when they played out a 1-1 draw at Anfield. Mignolet; Alexander-Arnold, Van Dijk, Matip, Robertson; Can, Wijnaldum, Oxlade-Chamberlain; Lallana, Mane, Firmino. Pickford; Kenny, Holgate, Williams, Martina; Gueye, Schneiderlin, Rooney; Lennon, Calvert-Lewin, Sigurdsson. No Comment to " Liverpool vs Everton live stream info "